Savile Row has responded to climate change with lighter fabrics and reducing its carbon footprint. In fact, the Row was sustainable decades before the word was invented, says SRS. Making textiles from plant-based fibres is nothing new. In fact, the very first fabric produced in England during the Bronze age textiles was made from the bark of lime trees. Today, cloth merchants which supply Savile Row are experimenting with plant-based fabric in keeping with the drive towards sustainability. 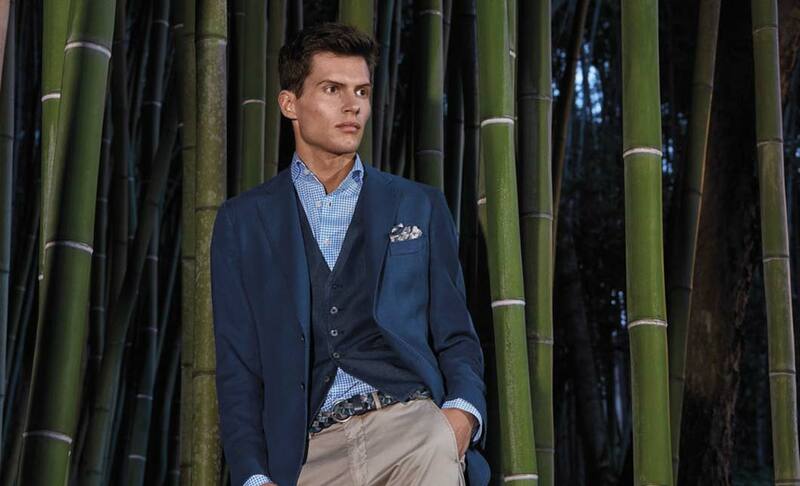 Savile Row tailors, mindful of climate change, are working with ever-lighter cloths while keeping an eye on their carbon footprint, sourcing material from within Britain from merchants which can prove their ethical credentials. The fashion industry accounts for 10 percent of global carbon emissions and remains the second largest industrial polluter, second only to oil. Cotton production is particularly damaging to the environment if not done properly with untreated water poured back into rivers. People’s shopping habits have changed. Online customers order cheap clothes only to throw them away months later – so-called “fast fashion”. 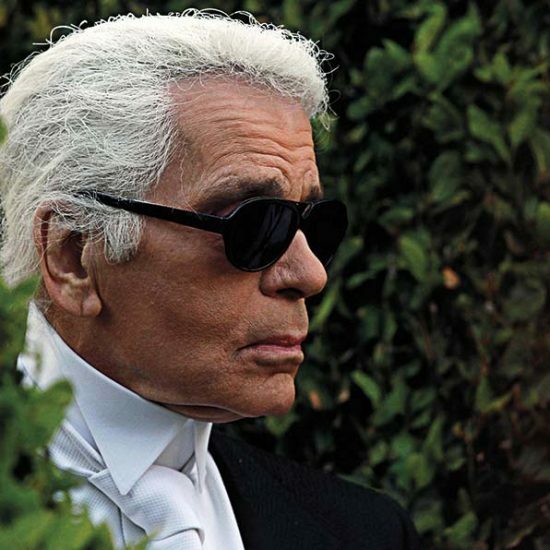 Of course, Savile Row is the opposite of fast fashion. 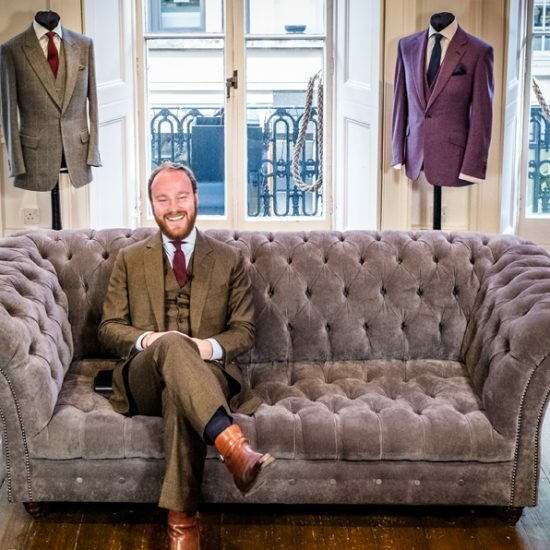 By its very nature, working in a bespoke manner and using limited amounts of cloth, a sturdy tweed suit made in Savile Row can be handed down from father to son. Because Savile Row deals with bespoke, the amount of wastage is far less than you get with fast fashion. Again, the drive towards using natural fibres in Savile Row is nothing new: Awareness of natural fibres such as wool, linen and cashmere has been part of the Row’s DNA. It’s not only suit materials in Savile Row that are sustainable but the way suits are made – with interlinings stitched together and not glued as with cheaper suits. One thing that Norton & Sons has been thinking about is what to do with offcuts of cloth that are left over. Although New York-based Fabscrap that recycles offcuts and reweaves fibres from tailors such as Kozinn + Sons or uses it to stuff furniture, mattresses and pillows, this is a trend that has yet to arrive here. 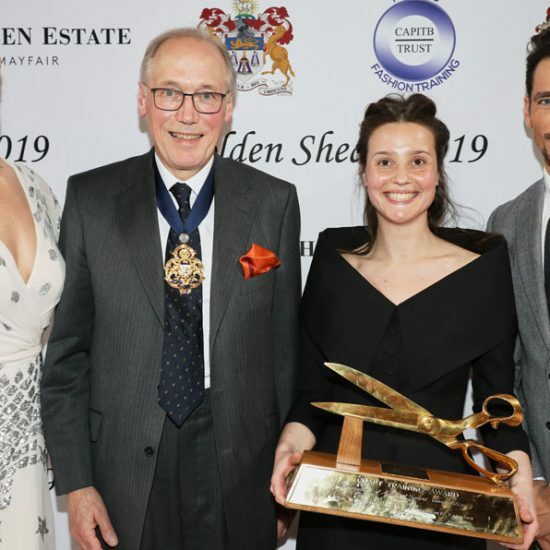 Younger customers are increasingly interested in authenticity, quality and provenance – all of which fits in neatly with the Savile Row ethos. “In the last decade, there’s been a drive towards sustainability,” says Cundey. Wheeler believes there will be a reaction to our throwaway culture, with customers unafraid to spend more on clothes with durability. Every cloth merchant that Savile Row Style spoke to agrees that customers want lighter fabrics to cope with our changing climate. What would have been considered a sturdy tweed jacket would have been standard suiting back in the Fifties. Thirty years ago, 9oz was considered lightweight but today people wear 8oz cloth all year round. The latest generation of Italian Super 200s weigh as little as 6oz. Norton & Sons says that when fathers accompany their sons into the tailors, often the parent will opt for a heavier 15-16 oz cloth while the son will stick at 11-12ozs. Predominantly this is because the British climate is changing. 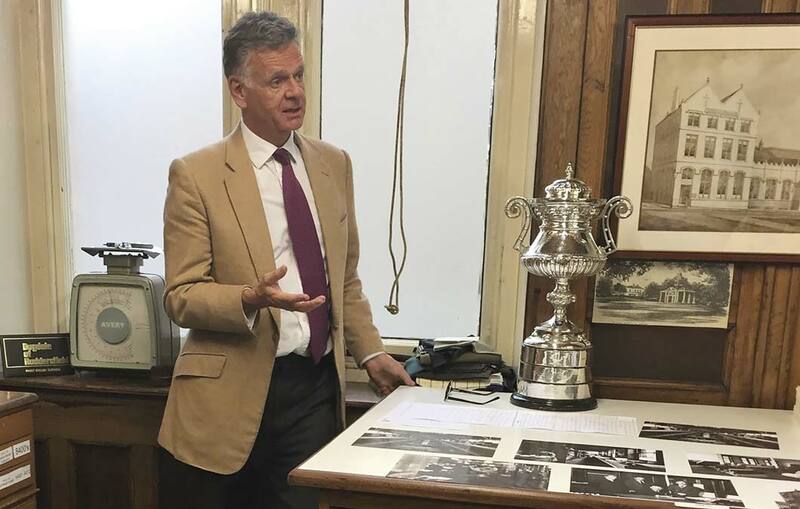 “All the American market wants is rather nasty lightweight cloths because they move from air conditioned car to a temperature controlled office, which suits the ‘non-climate climate’ they live in,” says Dugdale Bros managing director Simon Glendenning. Tailors, he says, dislike such lightweight cloth because it’s so difficult to work with. That as is maybe, cloth merchants have had to respond with innovative lightweight fabrics. Huddersfield Fine Worsteds recently launched a bamboo bunch at a 9oz weight in 34 colours. Clients include Henry Poole and Norton & Sons. Touching the swatch book, the bamboo cloth has a lovely feel, like lightweight cashmere. 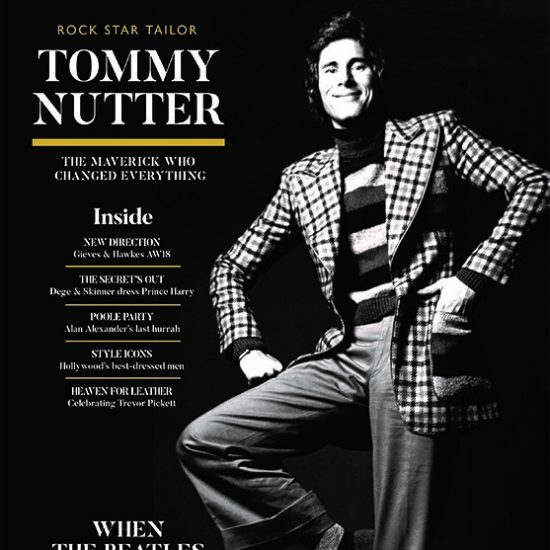 Wheeler had a blazer made up in the material that he calls “the best jacket I’ve ever worn, so soft feeling yet warm”. Dugdale Bros makes the point that traditional wool is just as sustainable as newfangled super lightweight cloths. In fact, the traditional heavyweight wools are greener because, unlike, say, new Italian superfine wools, they are much more hardwearing. The irony is that even something handmade in Savile Row using superfine wool will only last for a decade compared to generations for a robust suit. Someone who needs a lighter weight cloth because of climate change buys something that doesn’t last as long and will ultimately been thrown away sooner – adding to the landfill, only increasing the problem. Ironically, the best customers for Dugdale’s proper characterful English cloth are to be found in Italy – the home of the super lightweight textiles English cloth merchants compete against. 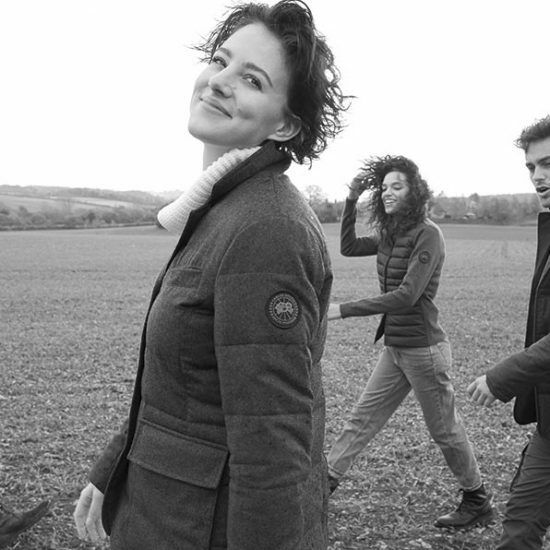 Corinne Metcalfe, a clothing designer at Purdey, used to work in the sailing industry and has noticed the same drive towards lighter, more breathable fabrics when it comes to country sports – partly as a response to our warmer, wetting climate. Metcalfe says that customers want lighter and more breathable fabrics. Purdey launched its first synthetic membrane into its technical shooting range this autumn. 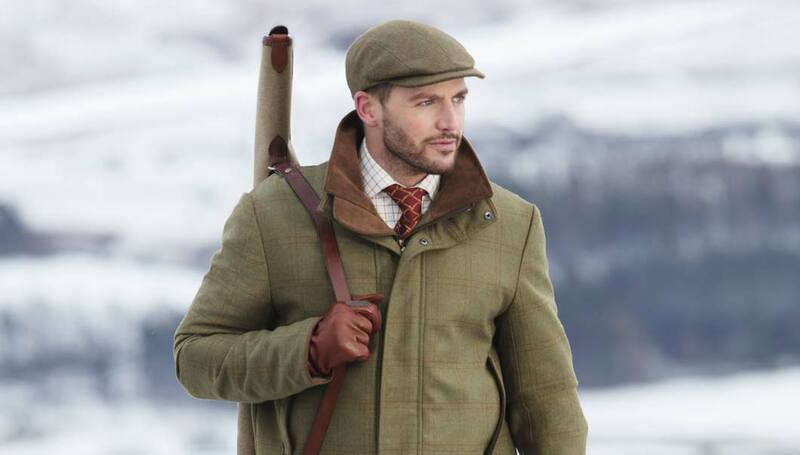 This technical tweed is 30 percent lighter than standard sports jackets “which allows you to move more freely when you’re out on the moors and you’re doing more active shooting”. Sympatex was chosen for the membrane because, being made of recycled materials itself, it is more ecologically forgiving than other brands. Not only that, but when Sympatex reaches the end of its lifecycle, it too can be recycled. 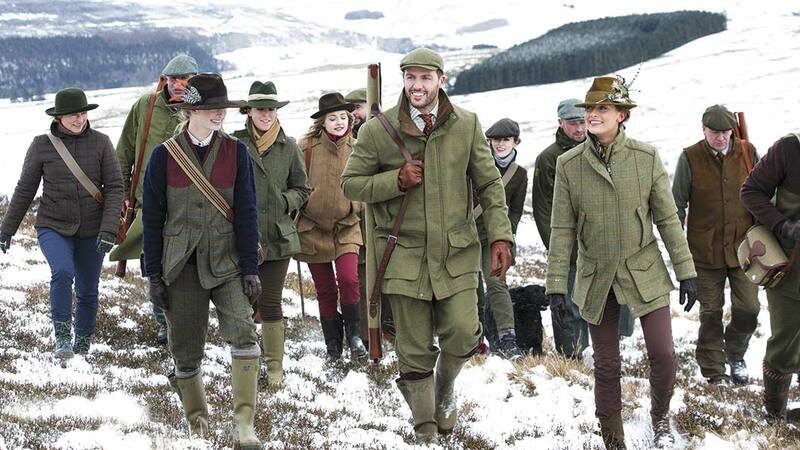 This new technical shooting range has been so successful that Purdey will extend it to womenswear in A/W19. Elsewhere, Purdey has used the common nettle for its range of holdalls and gun sleeves. Nettles were first used around a century ago in Switzerland to make the iconic Swiss Army Rucksack – cotton was scarce and nettle fibres are actually stronger. “Nettles grow in the wild and don’t need to be treated with insecticide. Nettle combines with our ethos of durability and sustainability,” says Guegan. Another trend making inroads into Savile Row is provenance and what Huddersfield Fine Worsted calls ‘traceability’. Just as people want to know where food is sourced from, they want to know that yarn has been gathered ethically. Savile Row has to assume that the actual sourcing of the yarn is conducted ethically by its mills. Dugdale Bros has an ethical code of conduct when it comes to sourcing yarns. Dugdale says that some of the larger wool growing countries have, in the past, used questionable practices – such as cutting into fly-infected sheep in a practice known as ‘mulesing’, which has been called cruel and inhumane. HFW is in the process of being able to trace where its cloth comes from, right back to the exact sheep in Australia – tracing the journey from shearing to yarn spinners to Chinese brokers. It’s the same as proving the provenance of a work of art. Where Savile Row can really show its green credentials is by using British mills manufacturing locally. This shortens its supply chain and avoids the energy spent importing from China and the Far East. In short, reducing its carbon footprint. Dugdale Bros sources its wool from local yarn suppliers, mills and finishers within a five mile radius of Huddersfield, which similarly reduces its carbon footprint. Alexander Lewis, brand and business director at Norton & Sons, says: “We do think about this a lot. 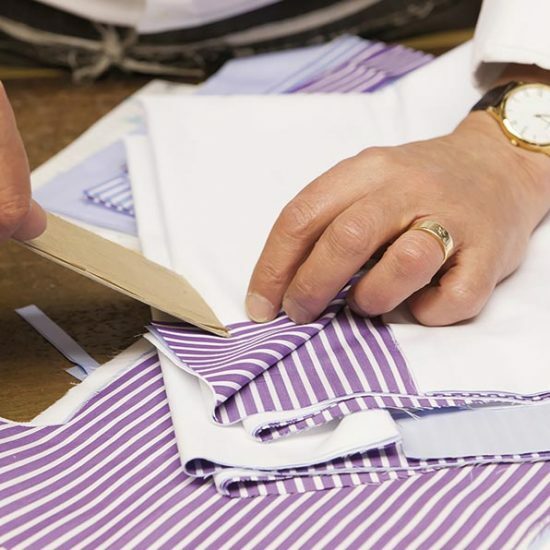 As a house, Norton & Sons prefers to work with British-made cloth. We only use foreign-milled cloth if there’s something we cannot get from a producer-weaver in the UK”. “Keeping our carbon footprint small is a luxury that a high-end brand such as Purdey can afford. Sustainability is very much in our ethos,” adds Guegan.